Sally, who married young to escape her appalling childhood, is often left to bitterly reflect on the hand she has been dealt. She is, on the whole, happy caring for her handsome husband, his mother, her own three children, one of whom has a disability, and her Walter Mitty sister. Then suddenly her world comes crashing down when her husband leaves her with no warning. She is helped unexpectedly by a friend whose advice stands her in good stead and by hard work and sheer determination she soon turns around a Leith pub which has a shocking reputation as a house of ill-repute. During all her trials she still finds time to care for her ever increasing family and, having been a victim of abuse, she is always on hand to assist her many, some dubious, friends to realise their potential. But as Sally is to discover, there is no escape from the past and when it comes back to haunt her she is astounded when a family friend supplies some answers to awkward questions which have troubled her all her life. 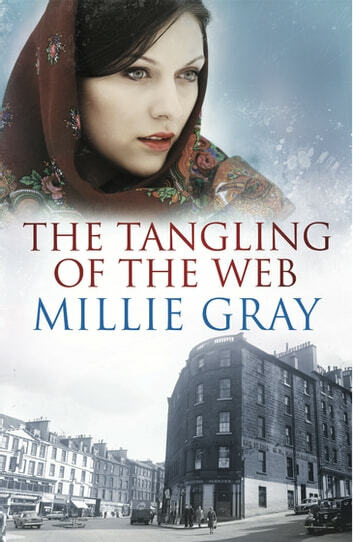 Bestselling author Millie Gray returns to post-war Leith to weave in her own inimitable way a tale of struggle, hardship and intrigue. This book had too many characters, which i found hard work niping in and out of their lives, renembering who was who.